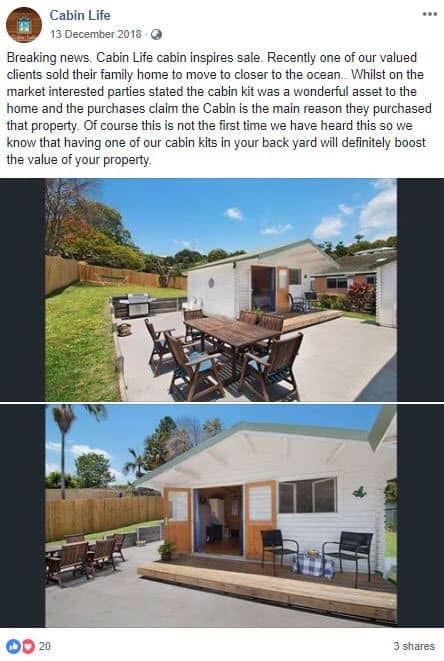 It has been shown many times over from our clients that the valuation of their property that has a cabin built, has increased for at least the value of that cabin. i.e. If the Haven cabin was $30,000 to build including power connections and bathroom – the house value went up by AT LEAST $30,000 when an official valuation occurred. Basically, this means that it is a safe bet that the amount spent on a cabin will add that same value to the property when it comes time for a sale or re-valuation. Meaning you can enjoy the cabin and know that when it is time to sell, the build price of the cabin should be recovered in the sale price of the property. Thinking about earning a rental income from spare space in your backyard? These are real 2019 numbers. Here are 2 scenarios. Minimum Rental Income – People on Centrelink payments + Rent Assistance (the very minimum from Centrelink) means they get $172.20 per week per person as the Reasonable Rent Contribution allowance from the government. These people include pensioners, some unemployed and people entitled to NDIS disability payments. If you use this as the ‘very lowest level of rent return’, the following scenario occurs. This is a 22.5% positive gross yield which is about 3x the acceptable % cash flow positive return from a property investment. Private market rentals, (especially to the 25 to 39 age group) will attract more rent than people on base Centrelink payments also. A 1 Bedroom market rent in regional NSW varies (higher in Sydney). But a base rental income of $190 per week for a self-contained 1 Bedroom unit is common in Newcastle NSW as an example. A rental of $190 per week on a 70K build is a rental return of over 14.1% gross yield. Typically, the entire build is covered in the first 7-10 years of rental returns and the valuation on the existing property would have gone up approx. 70 – 100K after the cabin was finished, prior to the 10 years of local market growth normally expected with residential property. A 60m², 2 Bedroom Unit (like the Pandanus design) should get $320 to $350 per week rent with no less than 10% p.a return also. 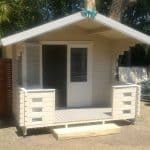 Basically, the investment in a Cabin Life timber cabin is a very safe property investment solution for a lot of people who are looking for an additional income source. These profits shown above are based on a maximum % personal loan scenario. If you have equity in your existing home and meet the requirements to put a cabin on your block, you can earn a significant larger return by utilising the current low home loan % rates. We encourage you to research your own investment returns using your accountant and / or financial advisor. 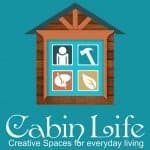 The information in this website and the links provided are for general information only and should not be taken as constituting professional advice from the website owner – Cabin Life. Cabin Life is not a financial adviser. You should consider seeking independent legal, financial, taxation or other advice to check how the website information relates to your unique circumstances. Cabin Life is not liable for any loss caused, whether due to negligence or otherwise arising from the use of, or reliance on, the information provided directly or indirectly, by use of this website.